There are a lot of fire safety tips that you should be able to learn even before setting out for your camping adventure. Especially when the summer is just around the corner, this is usually a suitable time for one to set out for vacations, camping or even picnics. 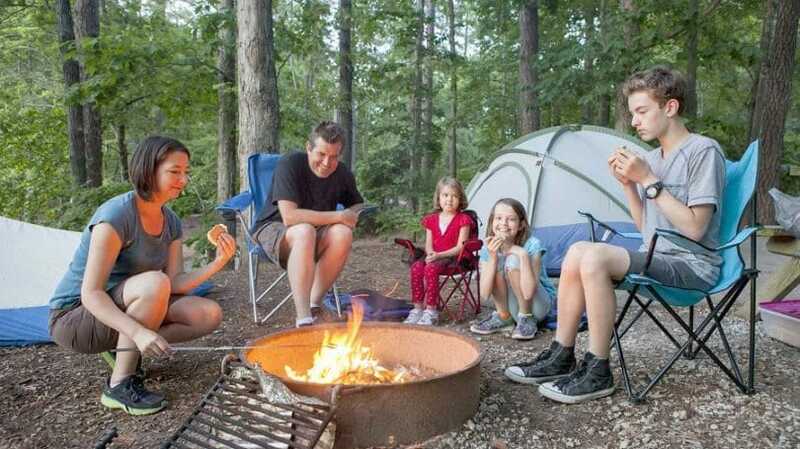 Most of the campers usually like to see flames flickering and coals crackling as they enjoy the feeling of warmth that is produced by the campfire. But on the other hand, besides the enjoyable time that we do have during our camping activities, tragedy can also strike. It is often said that about 3800 Americans usually suffer from injuries caused by either gas fires or the charcoal grills that they use for the outdoor cooking. Most people prefer to use fire pits. 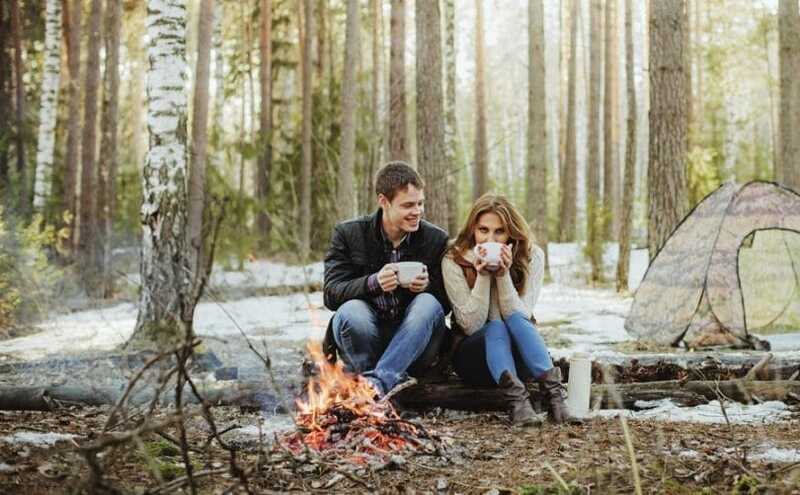 This is usually their top choice when it comes to outdoor activities that require fire. This is because they usually provide warmth and some nice ambiance but they also do have an ugly side. 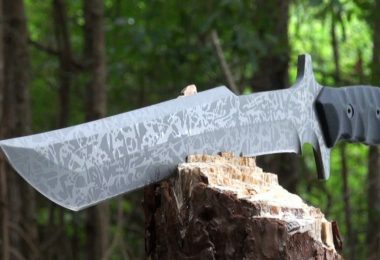 In recent years, they have been rated among the most dangerous things to have to your camping site. So, if you are planning an outdoor activity and you plan on using the fire pits, you need to go through this article and learn the most important tips you need when using these fire sources. This will help you to keep safe by using the fire pits and the campfires properly. 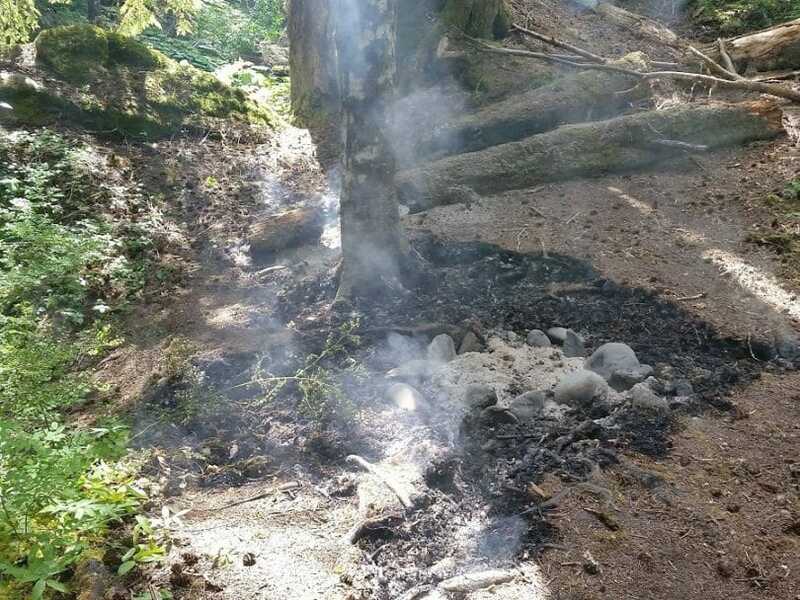 First, you need to go to the site and try to check if there has been any existing fire pits or fire rings. If you are not lucky to find any, you can check with the site management and see if their regulations allow the use of fire pits. If they do, you can then proceed by finding a suitable site, maybe somewhere around 15 feet away from your tent wall and trees or just any near flammable products. You should also remember not to use any fluids which are highly flammable when you want to relight the fire. These fluids usually include diesel, alcohol, gasoline, kerosene among others. You should not be allowing children to get near the pits hence you should be practicing caution every time when you work with the open fire. Also, you should be keen when it comes to whatever you are putting on when working on with the fire. Make sure you don’t put on flammable clothes. You should also avoid the burning of flammable materials like plywood, trash, leaves, and cardboard. Soft woods like pine and cedar should also not be used since they can usually throw some sparks and they are also most likely going to pop. Only use the hard words which are seasoned. Another important point to remember is to check on is the pit’s lid. This should be the first thing you need to do before starting the fire. Make sure that it can still close in case an emergency occurs and you want to extinguish the fire easily. Also, make sure that you don’t overload it. One final thing, always makes sure there is a water source or a fire extinguisher near your fire pit. With these already in place, I think you will be good to go. Well, a considerable number of campers usually suffer injuries caused by the campfires. The same camp fires are also considered to be one of the main causes that initiate forest fires. So, it’s best to learn some fire safety techniques before going camping. 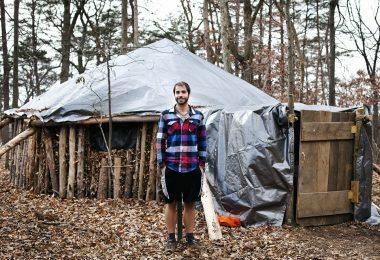 You should also keep in mind that you need to protect yourself, fellow campers, and the environment. First and foremost, you should be able to look at the areas’ weather forecast and also its fluctuations. Also look out for the sudden wind that could usually cause the wildfires. Most of the times, it is recommended that the campers should make their campfire not bigger than 5 feet in its diameter. The height should also be no longer than 3 feet. Also, when making your campfire, remember only to use untreated wood, usually one without varnish or paint. Use rocks to surround the fire, as this usually adds some heat to the fire and also keeps it safe. 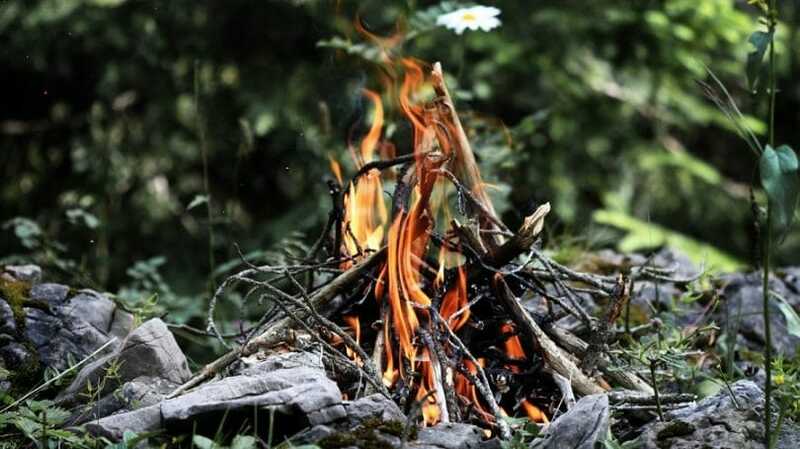 As we have already mentioned, make sure to build your fire in some distance away from thing like dry grass, shrubs, overhanging leaves, rotten stumps and also the automobiles. Since the heat produced can also extend far, you need to check the clearance of the fire that is three or four times the pile’s height. Make sure that the place where you decided to set up your fire has some gravel or mineral soil surrounding it 10 feet all round. Many sources also finally, watering down the areas surrounding the campfire’s place before starting or making your fire. 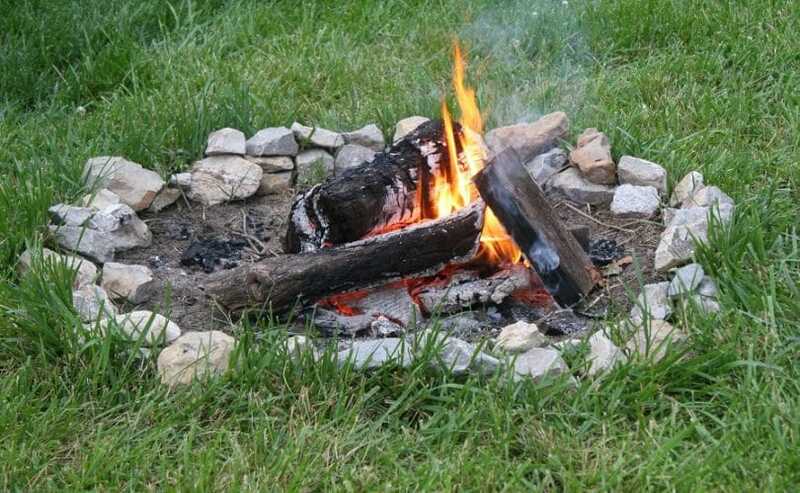 It is also advisable that you put some rocks underneath and around your fire sources, especially when using things like the burn barrel, a BBQ unit or just a small pit. This usually prevents fires that are most likely to start due to the burning of decaying matter or the root systems underground. It is also advisable that you start building your fire using dry twigs or small sticks then later proceed to use the largest chunks of wood. This should be placed pointing toward the center of the fire. When they finally start to burn, you will gradually need to push them. Also, make sure you don’t use the highly flammable things to light up the fire or when ensuring it keeps on burning. The remaining firewood should also be stacked some distance away from your fire. 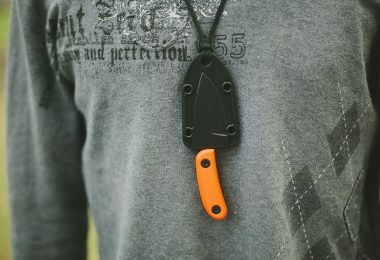 A water source near your campfire is also a very important thing and you should also be ready with a shovel as this can help you throw some sand or dirt on the fire in case of any emergency. 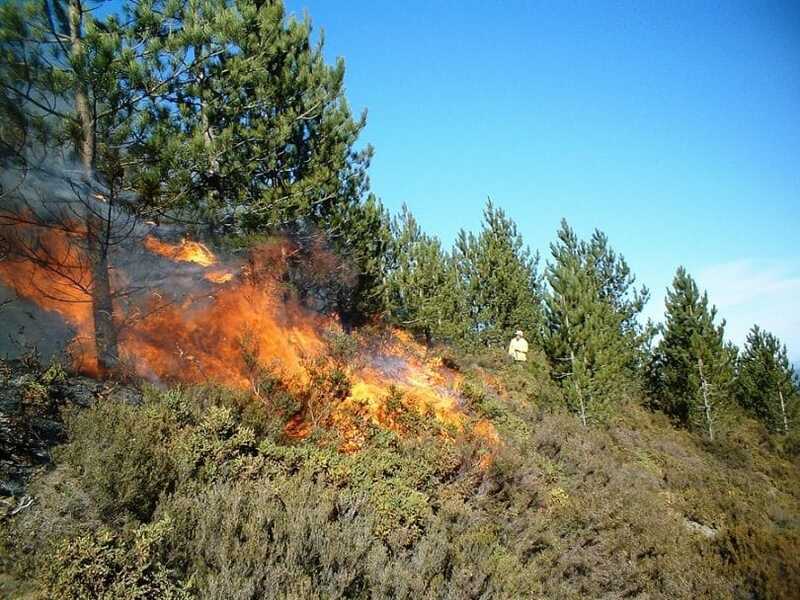 After starting or making your fire, it is usually a bad habit to leave it unattended because with even some small wind, it can spread and this can be dangerous. After you are done with the fire, use some water to put it off. For those who will have used coal for their fire, burying them won’t be a good idea since after smoldering they can start to burn again. There are a few guidelines that one needs to know when putting out a campfire. The following will help you to completely put out your fire. Let all the wood burn until they are reduced to ashes then pour some water on the fire to ensure that it is completely put out. You should continue to pour water on it until you stop hearing the hissing sound. Another way is to scrape the sticks and the logs to completely get rid of the embers then thoroughly stir them making sure that all of them are wet. Finally, you need to stick around or stay there to confirm that the fire has been totally extinguished before you leave it. When your fire is already established and is also strong enough, you should continue to larger chunks of wood. This will keep your fire going and also it will make it burn more steadily. Of course, this should be done away from the children and pets. As you are still enjoying the view of your beautiful setup of your campfire, you should put in mind that the responsibility of taking care of your surrounding lays in your hands. This can be done by attending to your fire and keeping it to a size which you can easily manage. Also, avoid cutting branches and live trees to use them as fuel. This is simply because they will not burn well and to add on this, cutting down trees is not a good idea. 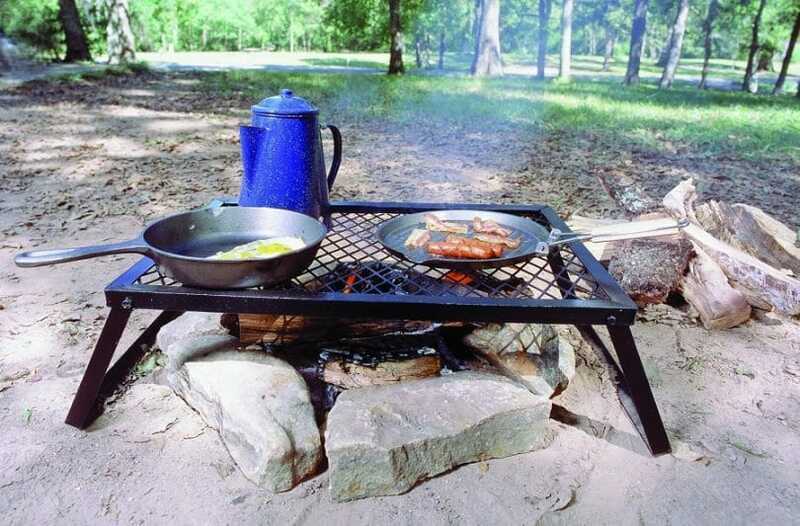 When you go out for camping, you should be able to first look at the rules and the regulations of that site which you want to settle on. This is important because they might not be allowing things like the campfires among others. However, you can always acquire a campfire permit from the relevant authorities. You should also be able to do some explanation to the group you are with, mostly the children on some safety precautions. Also, talk to them about the techniques they might use in case they accidentally catch fire. You should not be taking chances in any case and you need to always be ready for the worst when carrying out your outdoor activities. Carelessness should also not be tolerated within the camping site and learning how to do first aid can also come in handy. When we talk of first aid, there are some important things that you will need to carry with you when you leave for camping. You need to make sure that your kit contains everything you will need. Scissors, tissues, sunscreen, razor blades, antiseptic wipes, bug repellent, antibiotic creams, sterile compresses, tweezers, triangular bandages, burn ointments, hydrogen peroxide, small flashlight, moleskin used for blisters, safety pins, bee sting kit, splinting materials and others. Not all of these are required for fire safety but they are important and might come in handy as well. It is recommended that you get yourself up to date with both first aid and CPR (Cardiopulmonary resuscitation). The supplies you have should also be put in a waterproof container and the container should as well be marked well to avoid confusion. You need to be more cautious when using things like the gas canisters, thus keeping them upright all the time would be a good idea. On top of this, storing them in an area with perfect ventilation will totally be a plus. Also, you need to be doing regular checkups to find out if there could be any leaks and if you find some then you should be able to take the necessary actions as fast as possible. For those using these gas canisters, you should always remember to turn them off when you are not using them. Also remember not to remove or install any propane cylinders a flame or just any ignition source. A funnel should also be used every time when you want to fill the tank, for those using a stove. When doing this, you should also be more careful and make sure not even a drop spills when filling the tank. You should also not make any attempts to operate a stove near another source of fire. Using a stove requires you to be in a well-ventilated space and at no particular point should you operate the stove in an enclosed area like inside a tent. Am sure most of us have heard of carbon monoxide and its effects, right? Well, if you chose to take a smoldering barbecue and use it inside a tent or any confined area, you will just be signing your death agreement. The charcoal from this will continue to produce this dangerous gas as it continues to burn and as we know, you can get suffocated from this emissions and eventually die due to lack of enough oxygen to breathe. Even after you are already done with your cooking, the carbon monoxide will still remain in the air. 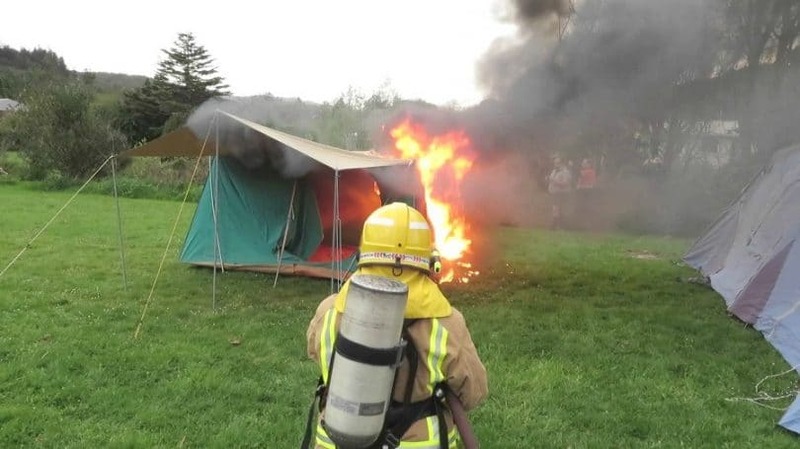 You can save your life and that of others if only you act first and ensure that the fumes do not accumulate and build up in your tents by taking it outside. Sometimes people usually use boats, caravans and even mobile homes when camping. These things can usually catch fire more easily because inside them you will always find some bottled fuels, like kerosene, paraffin and also petroleum gas. These are usually used for heating and cooking purposes. It is not always recommended for you to use such things inside the tents or just indoors. The first thing you will need to do in such situation, get everyone out first. This is mainly because when the tent is already on fire it can spread a lot quicker. You then need to look for a cell phone and call the rescue service very fast, giving them information and every detail. This will help them to find you easily. When smoking, always have an ashtray or just anything which you can use to the disposal of your ashes. When you are done with your smoking, make sure to completely put out the fire properly. Do not throw it to the ground. Also, make sure that you don’t leave the glasses and the glass bottles in the camping sites when leaving. This can also cause a campsite fire or even a forest fire whenever the sun shines and the rays penetrate through them. When your clothes accidentally catch fire, the first thing to do is to not panic and try to do the following. When this happens, you should try to stay in the same place, moving and running around will only worsen the situation as this will only be feeding air to that fire. The next thing to do is to slowly roll down on the ground. This should be done on something like a blanket and finally, cool off using water. This is first and second-degree burns. Also, make sure you don’t peel any cloth that has already melted off your skin. Also be fast and leave straight away if the fire has already spread and has become unmanageable and seek for help from the nearby fire stations. This is also an option that is pretty difficult to use but it’s much more fun when you try out with your fellow campers. This is a friction based method, probably one of the methods that were used during the pre-historic times. Check our our guide on how to start a fire safely to help you. For this method, all you need to do a stick or just a spindle. This is what you will need to make the required friction in order to start up the fire. You also need to make sure that you use a totally dried up wood. For the fireboards, you can use the cypress, walnut or a cottonwood. Another option you might think of trying out is using the traditional lenses. 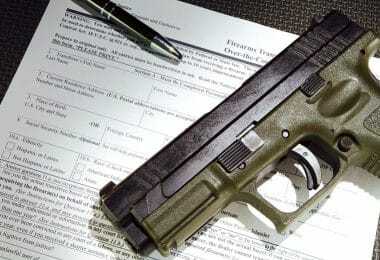 All you need to do is have the lens and try to focus the sunlight on your target. From this, you can create your much-needed campfire without any matches. You can do this using your eyeglasses or just any magnifying lens then add a little bit of water to it to increase the intensity of the rays. Tilt your lens to directly face the sunlight and make sure you focus the beam on the smallest spot possible and before you know it you will have just started a fire. The only setback with this method is that it only works with the sun available. For more useful tips on how to make yourself safe on camping trips, see our must-read article on this topic. Best Hikes in the World: How to Prep For Them?